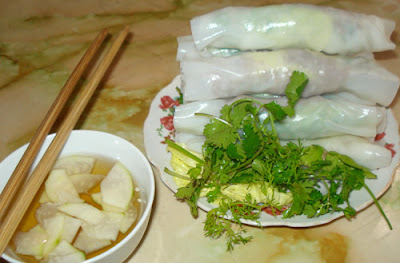 Also noodle, also meat, aromatic vegetables, but "noodle rolled" eat with light fish sauce mixed. 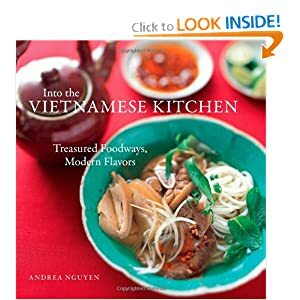 Noodle is not the status of fiber to the plate, used for rolling meat and vegetables. It sounds extremely simple but the secret of this dish is at the stage of chilled meat and sauce mixed. Ngu Xa village is a trade village located next to Truc Bach lake, west of Thang Long, now the Ngu Xa street, Ba Dinh District, Hanoi. Popular name from the old job with the casting but recently, he was traditional narrow, instead of a new neighborhood with many well-known with eating and drinking services, especially noodle rolled. Birth story noodle rolled hear very random. Story has it that, has a noodle shop located at the intersection between Ngu Xa street and Nguyen Khac Hieu street often serve food late night to see the way football or entertainment. The noodle dishes are familiar. One night, visitors came but broth has expired, only little noodle. Please guests, owners get noodle to rinse thin, square format rolled with beef cooked with aromatic vegetables for guests to eat with sauce. Unexpectedly, guests eat very strange mouth and praise good rule sheet. However, the beef should be cooked on your dry, the beef used in the booth owners for re-rolling. Shops move permanently to use fry beef rolled with noodle . Ngu xa village has more than 10 franchised restaurants doing noodle rolled. Besides noodle rolled and noodle swollen fried restaurants have fried egg noodle, fried noodle, fried potatoes, noodle mix, grilled swan meat, fried corn. However, the first visitors to this matter or have already become familiar and indispensable noodle rolled on the table then call the other dishes. Ngu xa village is most crowded on weekends or the afternoon of the day. Eat noodle rolled primarily to enjoy and discover a style flavour noodle unique and new. Feeling special when compared to the traditional noodle. Afternoon last week, landlady of Ngu Xa noodle rolled fried beef on the cooking fire to say: "On this time, restaurants don't work because customers so many. Staff roll noodle work all time, one minute they can roll 30 to 40 noodle rolled. 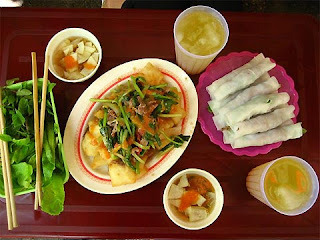 One of white square noodle pile placed neatly on the table, beside a bowl of beef fried hot smoke is spiralling up and dill basketball, salad, coriander. Here are the three main vegetables indispensable makes the taste characteristics of noodle rolled. In particular, vegetables and Lang basil flavor are special, are you cool like peppermint, and, again gently fragrant and cool. Task of roll noodle is simple, shovel meat has finished in the mid-fried noodle,selected and approximately three vegetables together with accrued approximately we baked flexible fingers, and gently rolling them lying neatly in silky soft white noodle. Noodle thin and soft but very tough new delicious noodle, rolling to look nice without being grow too soft. 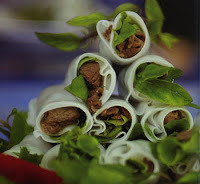 The noodle rolled as dissolve with green of hope and beautiful white fragrant rice seeds of flexible land of sun and stronger taste fried beef creating attractive dishes in Hanoi's foods.